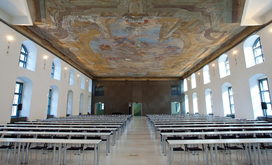 As in 2011, 2012 and 2014 the Forum will be held in the splendid historic building of Aula der Wissenschaften (“Hall of Sciences”) at the old Vienna University – a 17th-century building equipped with modern infrastructure, bridging the past and the present. 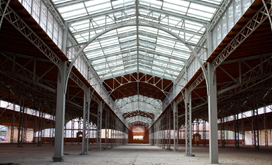 Constructed between 1879 and 1881 and inaugurated by Emperor Franz Josef the former "Rinderhalle' was Vienna's first wrought-iron-structure. It was planned by architect Rudolf Frey, who received praise for the revolutionary lightness of the huge brick-and-iron-construction. The name "Marx Halle" derives from Saint Markus. We are looking forward to meeting you at this sophisticated environment on Thursday, November 5th 2015, 20:00 - 23:30. You can book your seat (and the one of your partner) when registering to the Global Peter Drucker Forum. Access with non-transferable Gala Voucher only. 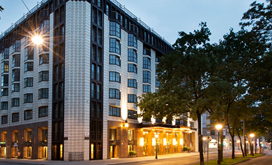 Hilton Vienna Plaza is situated at Vienna's most prestigious location, the Ringstraße. It is only a short walk to St. Stephen's Cathedral, in the heart of commercial Vienna. Opened in 1988 as the first designer hotel in the city, inspired by the golden era of the 1920s and Art Nouveau, it has just been extensively renovated. Shuttles will be organized to/from the Forum venue (Aula, +/- 1300m). You can enjoy French and Austrian cuisine in the delightful setting of Brasserie & Bar Emile. The hotel also offers a fitness room and sauna. Parking is available (35€/day). 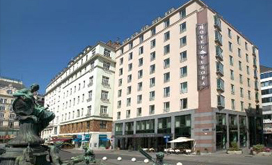 Hotel Europa Vienna is located in the centre of Vienna and is just a few minutes’ walk from St. Stephen's Cathedral. Rooms have a modern design with warm colors and all feature a mini bar, cable TV, a safe and 24H free Internet. Public transportation is just a brief walk from the hotel. Valet parking at a nearby public parking garage. The hotel offers 160 rooms. Book your flights to the 7th Global Drucker Forum 2015 online at www.austrian.com and save -15 % on all applicable fares! 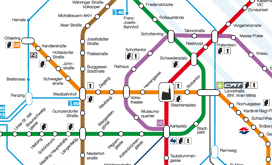 Valid for flights to Vienna and return as of October 29th, 2015 until November 14th, 2015 (final date for return flight) on OS operated flights.